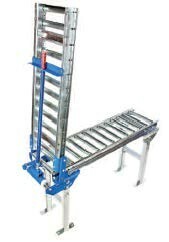 Choose from Permanent or Temporary Conveyor Supports. 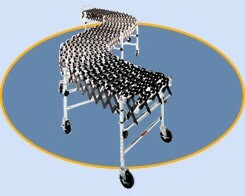 If your conveyor needs to be truly mobile, choose supports with casters. 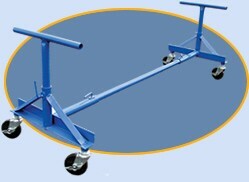 Casters are Total Locking with swivel and wheel lock mechanism. 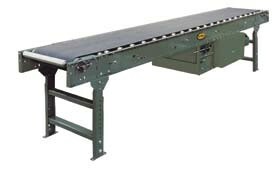 Gates allow personnel or equipment to pass through your conveyor line. 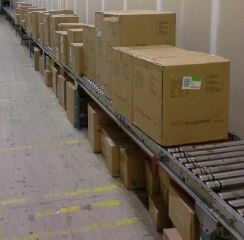 The perfect conveyor solution when space is limited, and conveyor is needed occasionally. 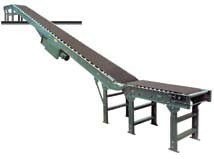 Expandable Conveyors expand to (4) times their length. 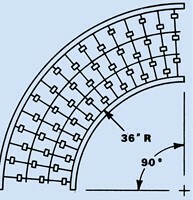 Sections bend in either direction around a 21″ radius. Conveyors roll smoothly on 5″ x 1-1/2″ rubber swivel casters with foot locks. 28-44″ Adjustable height. design a system that works for you, at an affordable price. 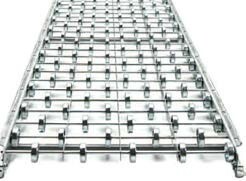 driven by elastometric belts that pull drive spools against the line shaft, thus allowing slippage that allows for accumulation without damage to items being conveyed, or to the conveyor. 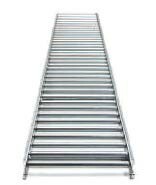 the incline to the horizontal plane.